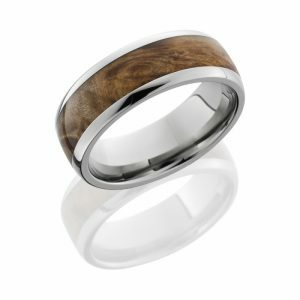 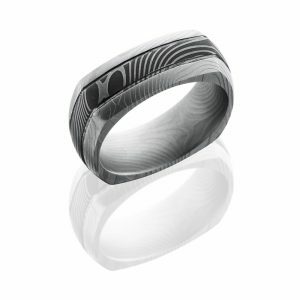 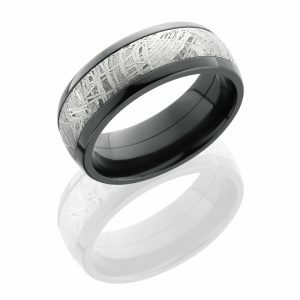 This Lashbrook Zirconium Wedding Band offers a customizable quote to be inscribed along the band. 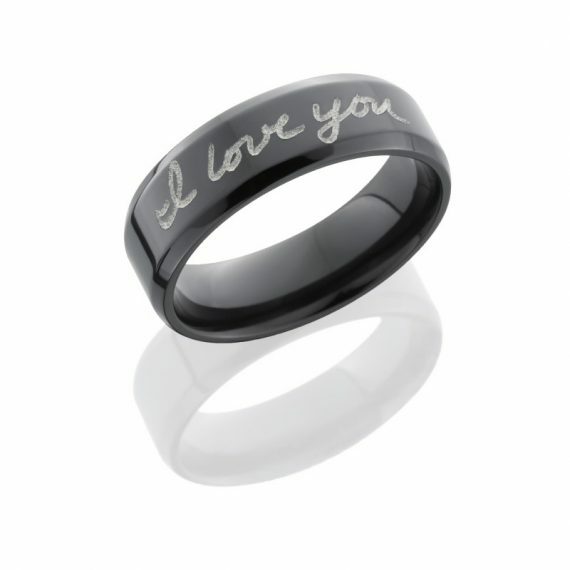 With the option to choose your desired message to be engraved, this offers a more personable gift to that special someone. 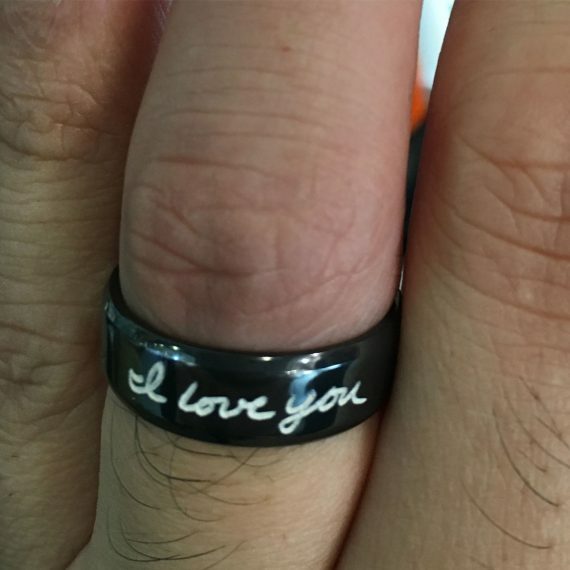 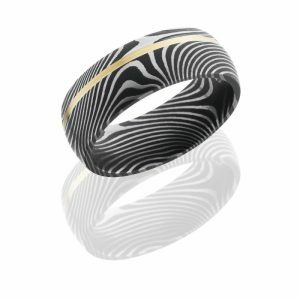 This band is 7mm wide and can be ordered to fit any size finger.